Gary Earl Johnson is an American businessman, author, and politician who served as the 29th governor of New Mexico from 1995 to 2003 as a member of the Republican Party. 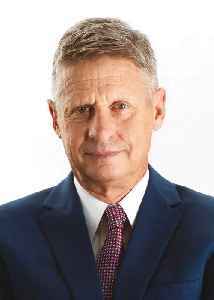 He was the Libertarian Party nominee for President of the United States in the 2012 and 2016 elections. He was also the Libertarian nominee for U.S. Senate in the 2018 New Mexico senate election.